Deep freeze is windows software used as an alternative to antivirus softwares . 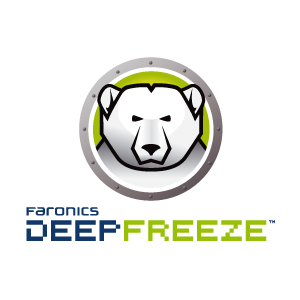 Once installed , Deep freeze collects the data about the installed programs , registry entries etc. on a computer and never allows further changes in its configuration . All the changes made will be deleted and the old default system files would appear on a restart . Its very difficult to turn off freeze as its protected by a password that can be only accessed by system administrators .Deep freeze has became one of the favorite of internet cafe owners and home users, as here they don’t need any frequent updates and renewals . I recently had a bitter experience with deep freeze , when i was trying update my phone software (N73) from a local internet cafe . I installed Nokia software updater and restarted my PC as per instructions. Shocked when i returned to the desktop !! all installation files were deleted and i lost my updater setup. Later i was testing some methods to avoid restart when deep freeze is installed and succeeded with this trick . After installing Nokia Software updater (using this as a reference) , go to the Windows task manager . You can access task manager with the easy shortcut Ctrl+Alt+Del .Move on to the processes and end process explorer . Now you will see a blank screen with only task manger ,displaying the current process running on the system . End process DF6Serv.exe and allied components . 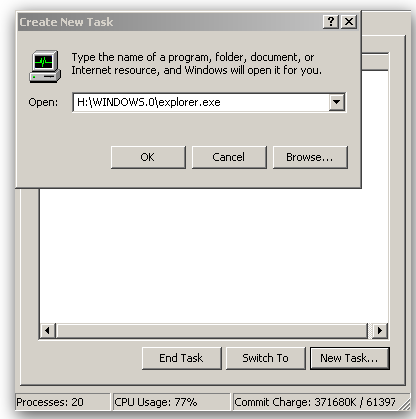 On Windows task manager , select applications and click on button New task to browse for explorer.exe from windows folder . Now you have refreshed your registry and don’t need to restart your PC after software installation .